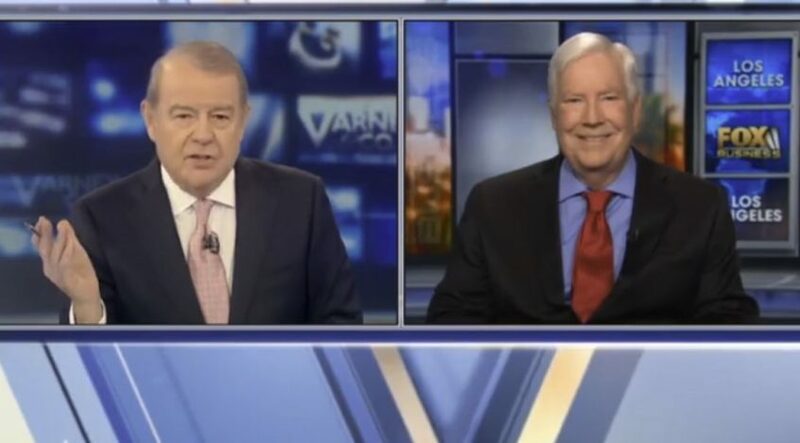 I was interviewed by Stuart Varney on Varney & Company. The topic was the spike in crime caused by sanctuary cities and judicial activists. No one is safe in a sanctuary city or state. You can’t let kids go to the park, school or even play in the neighborhood. Your family and property aren’t safe, yet the progressive politicians rejoice. The proper role of government is our safety – and the sanctuary cities are failing. The safety of our cities depends on the rule of law and its enforcement. Take a look at my 3-minute interview. If you live in a sanctuary state like California or a sanctuary city, have you seen an increase in crime? That was a great interview, living in Ca. I personally know of many people who have given up and moved to other states. Two of the most common reasons noted are the increase in crime and the other is the high cost. We have four children now in their 30’s and all have left Ca. and the reasons are high costs and failed schools. They live in Utah, Co, and Texas, they are all christians and have young children. They gave up as voting here doesn’t seem to work and it seems our state government is geared up to cater to illegals not Ca. citizens. Keep up the good work you and Shelly do, my wife Joanne and I continue on as well, we pray every day which is our most powerful tool. A friend of mine is a court interpreter. He is a naturalized citizen from Argentina. He went through a vigorous program to become an interpreter. He works in the Compton court. He is involved in trials for sexual abuse of children and the defendants are all Hispanic males. This indicates a serious problem within the Hispanic community. He says that this behavior was common in their home country where people turn a blind eye to adult men who force themselves upon children. They have brought this to our country and now it is prevalent here. These individuals are an example of what you discussed in your video. I agree. I am 72 years young. I am a California native. I Love this state. BUT it has changed. It has really changed. Better quality air. More people. More freeways and roads. More people. More time stuck in traffic. More colleges than any other state. More people on aid. More people in jail. More taxes. More drugs, criminals, and crime. More jails and prisons. Bigger and better jails and prisons. More of the Best Climate. Everything you want is here. Everything you don’t want is here. Our state government is bigger. SEE how this has worked out! More and bigger isn’t the solution. It just creates more confusion and division. When has the government been the solution? I believe in government so don’t get me wrong. BUT where has the common sense, integrity, and inward morality gone in our government? How can you help or protect people when you encourage wrong behaviors? That is enabling behavior and wrong motivation period. It also means you want to maintain the relationship at any cost. Last year when I got off the Freeway at UC Berkeley there was a tall chain link fence under the freeway off ramp. It was cluttered with homeless people and trash. My wife was frightened and feared their approach. This is common place in California because we have the best living climate. Now we have Sanctuary Cities where homeless and illegal people are being protected, (not helped), for wrong reasons. Laws are for protecting people and making us aware of what we are being protected from. That is why criminals know what is wrong and commit crimes anyway. The people in the encampments do not have incomes and therefore I only assume they are committing crimes for income or just begging. I don’t have the statics so that is my opinion. The good people who come here, and we want them here, want to get it right. We should protect them from people who do the wrong thing to get and then stay here illegally. This is my opinion only! (There is always more) ! Living in California has changed dramatically, Sacramento has become a non compromising political machine with new collaborators few speak of and this is a major problem. Our Politicians are speaking as if dictatorship is the new normal, I know where this mindset comes from and when light is shed on it name calling such as hater drives the narrative. Islam in Sacramento has major influence, Islamic enclaves are all across this State, many Islamist now in government come from the Middle East, they are deeply embedded within and when that happens I at least understand this is Stealth Civilization Jihad. Media is also in the hip pocket of the left and Islam (CAIR), what we see on cable news are nice looking deceivers who spread a false narrative Islam is a religion of peace and that creates a false friendship to be used against America, cable news local news are non existent in educating the youth of this State hence you have Berkeley type Riots on campuses up and down the state. Police stand down orders come from somewhere and if we simply take a deep breath and calm down and look at the stakeholders you will realize this is a form of Jihad. Professors on our campuses spread false narratives inciting violence while police stand down and allow groups like Antifa or BLM and BANM destroy property while Patriots are called haters and nazi’s in attempts to tap down the violence with a peaceful message. The guest in this interview is correct, I want to inject what I see as the root of the problem, hopefully this at some point will be a talking point but it will take a combination of Patriots, Political leaders, American Experts on Islam (NON-Muslim) which will force the media to cover Patriot events that shed light on cable news which up until now is missing in action based on deception. ANOTHER major reason why the still beautiful but FORMERLY great state of California was recently rated, OVERALL, as the worst state in the union for quality of life!!!!!!! I agree to all of this. My husband is a native Californian and the state has gone downhill ever since the Democrats have taken over and they don’t care about anyone except their base and illegals who they hope to turn into Democratic voters.